Let us host your script! No need to install anything. We will host our script for you in the cloud! A perfect solution for anyone who wants to use our scripts, but doesn't want or cannot install them on their own hosting account. Leave the technical work to us and benefit from our Remotely Hosted Scripts offering. Get the script you need integrated into your website and ready to use. 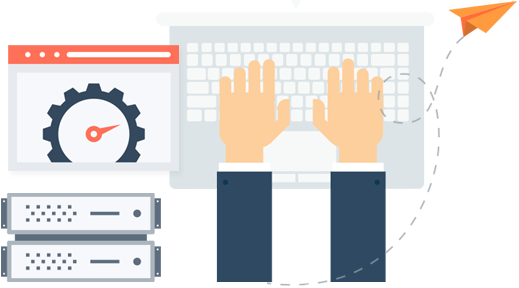 Using our software hosting service you will benefit from our dedicated support, free and extra services. You do not need any IT skills to start using our web software that will empower your website and online business. You don't need a hosting account to use our script. We'll host it for you! Our support team will integrate the script front-end on your website. Hosted on fast and reliable servers monitored by our team 24/7. All remote accounts are backed up daily to off-site backup servers. We constantly improve our products based on the feedback we receive. Our support team is always there to help you and answer any questions you may have. Contact Us and request the customization(s) you may need. No obligations. No setup or transaction fees. Cancel anytime. Select the product you need to use and we will make and host your private installation for it. Price is automatically calculated based on the script you select: one-off User license fee + yearly fee for the hosting service. There are no special requirements, since the script will be hosted on our server. How long does it take to have the script set up? It will take 24 to 48 hours to set up the script for you. How can I access the admin panel for my script? You will receive an email with your access details (user, password) and a link to your individual administration page and then you are in. How to embed the script into my website? Integrating a script is a very easy process - just copy/paste a few lines of code into the page you wish the front-end to appear on. Or you can contact us and we'll integrate it for free. Will I be able to access the administration panel from anywhere? Yes, you only need a PC with a working Internet connection - regardless where you are. I need something changed. Can you do it for me? Yes. You can request any type of custom modifications. Just contact us and describe what you need. Will you upgrade my script when new versions are available? Yes, we will keep your script up to date and enhance it with all future functionalities we add to it. And it will be free of charge. No actions from your side are needed. You don't have to worry - the upgrades will not affect your data. The admin panel of your script can only be accessed with the valid log-in details. Only authorized by you people will be able to get to it. Since your script will be hosted with us, we will make regular backups of your information and will keep it safe from illicit third-party actions. What's included in the yearly fee? The yearly subscription includes hosting, maintenance, technical support and any future updates and upgrades. You can cancel your subscription any time and we can send you the script and all the data so you can host it on your own hosting account.